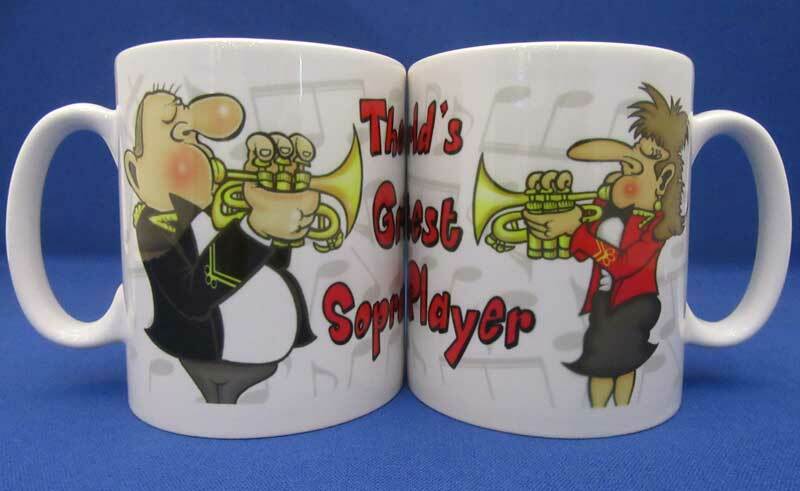 If you are looking for something a bit different, quirky and unique as a gift for brass band players you are in the right place. 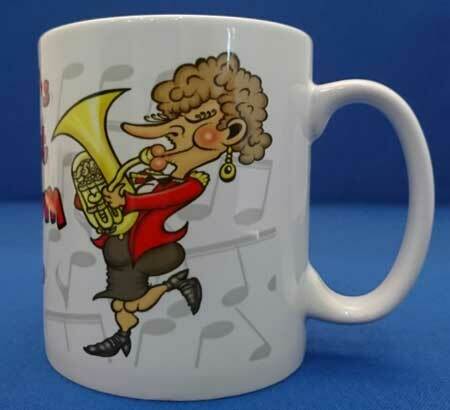 I decided to create the range as I got fed up looking at the usual boring selection of musical notes on mugs. 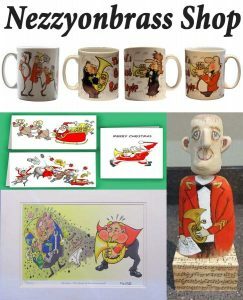 I thought it would be far more appealing if I used some of the cartoon figures I have created over the years and turned them into mug designs. 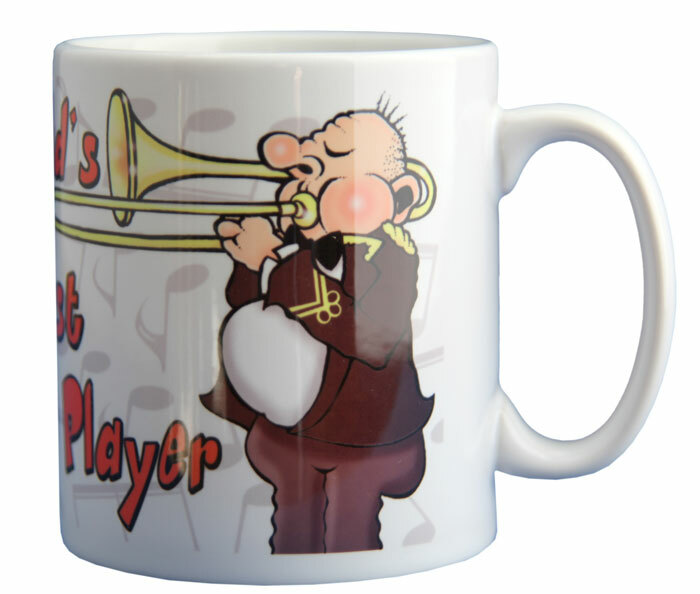 I came up with the ‘World’s greatest player’ as there seemed to be the ‘World’s best’ mugs in every other subject except brass bands. 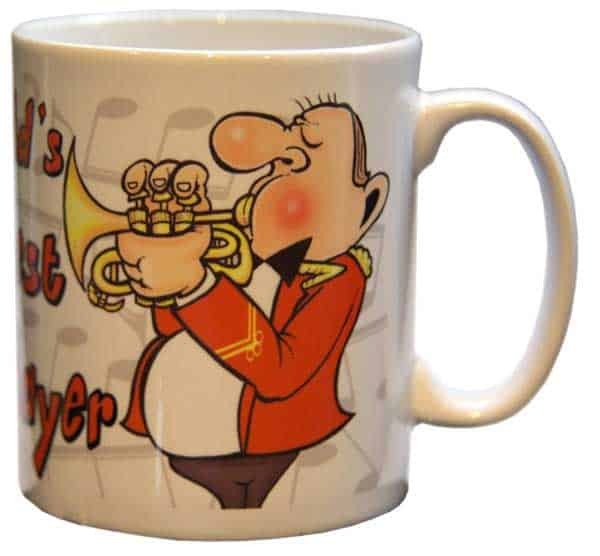 After playing around with a few drawings I came up with the World’s Greatest cornet Player (that’s him directly below) and it developed from there! 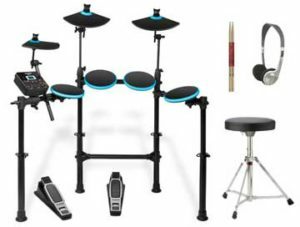 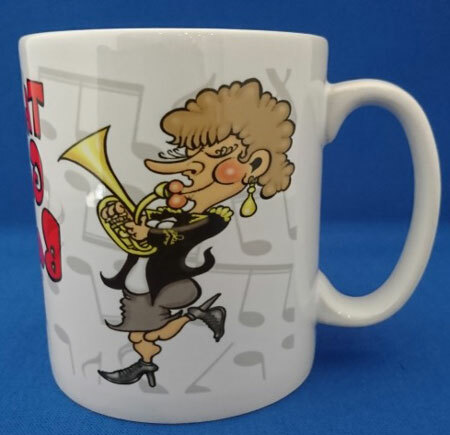 I am still working on the range to make sure there are male and female versions of each so if you don’t see the one you are looking for it will be there soon and I am adding to the list on a daily basis. 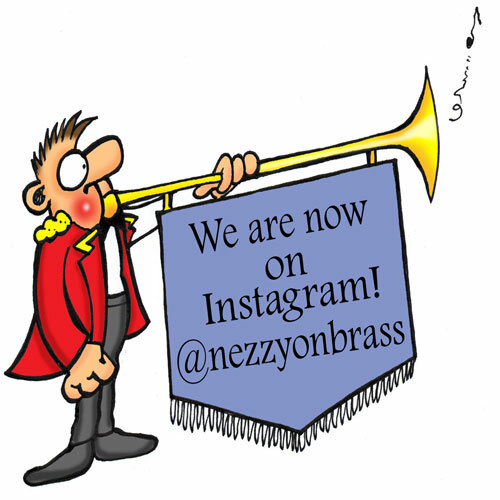 I have also used the Nezzyonbrass Facebook Logo to create a ‘Marching Band Mug’ with 5 five misfits on the move! 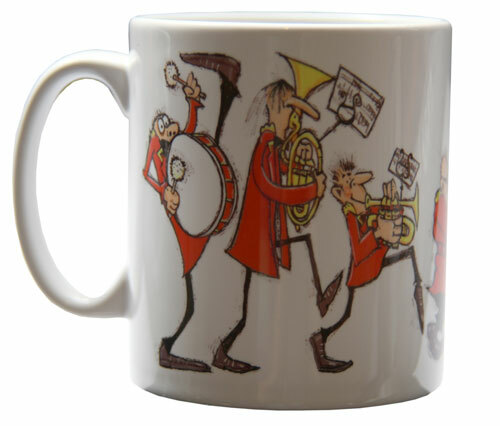 View my full brass band cartoon mug range here – the perfect gift for any brass bander!